There are a lot of “conventions” that we take for granted. The ways we behave are consistent with “what we’ve always done”. Take, for example, confirming the newest member of the Supreme Court. Although it has always required 60 Senate votes, this time, one political party decided they could change that convention and approve a lifetime appointment with a basic majority–for the first time in our history. This week, I mediated two anomalous workplace situations: one was about bathroom attendants at nightclubs and another was about a deckhand on a fishing boat. In both instances, the conventions of California labor law had consistently been ignored in favor of the historic conventions in these decades old “industries”. Functionally, no nightclubs included the bathroom attendants on their roster of employees. They came in at night, brought cigarettes, mints and paper towels, and typically earned a lot of cash, but not an hourly wage. And typically, the fishing industry paid their most trusted deckhands a set salary for the fishing season, and some percentage of the value of the fish they caught, which was, each year, determined by the abundance of the catch here and overseas. It’s the way it’s always been. Although the labor laws have not yet been applied universally to these two particular industries, the mediation conference room proved to be an excellent place for the “employers” and their lawyers to consider whether these historic conventions would hold up under scrutiny by a Judge or jury–or whether there were other ways to properly compensate these individuals that better comports with modern labor laws. My children’s generation calls it “market disruption”–the anomaly shopping on-line, getting your transportation on line and getting the President’s most trusted updates from a twitter feed that is only 140 characters in length. Mediation is a short cut to test out whether a given industry or practice can be changed simply by a party questioning the historic conventions of the employment arrangement. Change is good–but it’s difficult. 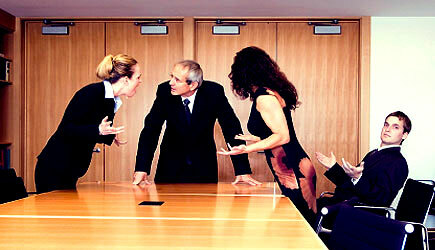 Mediation can help in those transitions so that we no longer accept conventions blindly.